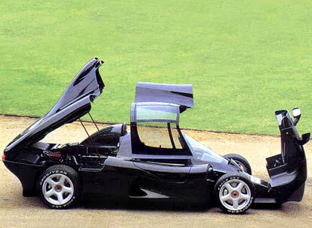 The Yamaha OX99-11 was a supercar designed by IAD, an English engineering consultancy, and Yamaha subsidiary Ypsilon Technology. 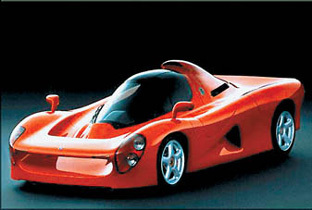 While the Yamaha OX99-11 was originally slated to appear in 1994, the roots of the OX99-11 project began in 1989 when Yamaha began competing in Formula One, later this spawned the desire to create a supercar based on Formula One technology. Despite the fact the Formula One team was less than competitive, a new engine called the OX99 appeared in 1991, helping to give the new car a name. Yamaha initially approached a German company to come up with some designs for the supercar. However Yamaha dismissed the proposals as they were considered to similar to existing supercars. IAD were at this point hired to continue work on the project. In 1992 IAD came with an initial version of the OX99-11. The new car featured an unusual and somewhat ugly design, features like the prominent front spoiler, tandem seating, cockpit shaped roof and protruding engine scoop stood out from other vehicles. Other features of the car which were rather extreme included the carbon fiber chassis and OX99 engine which were borrowed from the F1 car. Budget disagreements meant the Yamaha OX99-11 project was taken from IAD and handed over to Ypsilon Technology, who were given 6 months to finish the project. A further blow to the project was came in the form of a financial crisis which hit Japan and it was decided that there wouldn't be enough buyers capable of handing over the vast sums of money needed to buy the car. 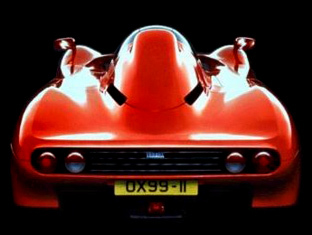 In 1994 the Yamaha OX99-11 project was axed. By this point only 3 prototypes had been constructed.